Georgia River Network believes all water trails should have water quality standards that protect their RECREATIONAL USE! Help us work toward this goal by taking part in the Georgia Environmental Protection Division’s (EPD) Triennial Review Process. Please complete GRN’s recreation survey, collect documentation, and submit a comment letter to EPD. 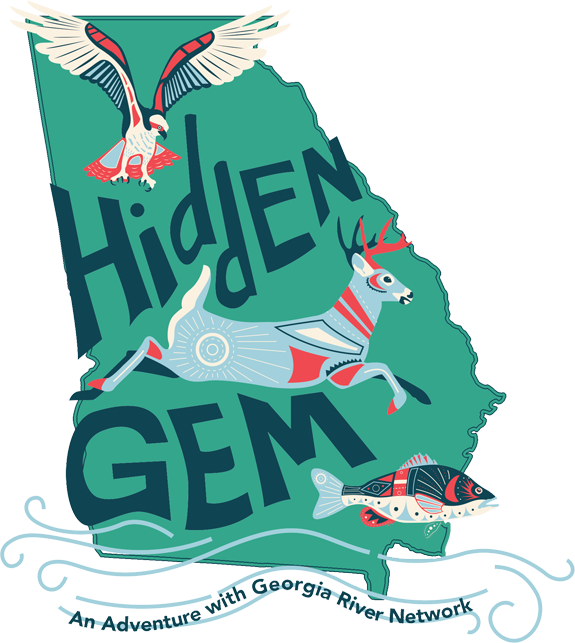 Georgia River Network helps people experience the beauty of our state’s rivers and become involved in river protection. If you have fallen in love with a river and want to help increase protections for the rivers where you swim, paddle and recreate, we need your help now with making sure these rivers have appropriate water quality standards. The water quality standards for our rivers are determined in part by how that river is used – “the Designated Use.” Each Designated Use has its own set of standards in order of least protective to most protective including “Coastal Fishing,” “Fishing,” “Recreation,” and “Drinking Water Supplies.” “Recreation” is above “Fishing,” because a person comes into contact more with the water (in the rationale of how the standards are currently written. We know fisherman come into contact with the water). Not all waterways have a specific Designated Use listed, and in that case they are designated as fishing, the lowest designation. The Federal Clean Water Act requires the state to review water quality standards at least once every three years and revise these designations as needed. This is called the Triennial Review. The state accepts comments from the public to be considered in this process. Many of you paddle and swim in rivers that the state has designated as “Fishing.” This means there is an opportunity to upgrade the water quality standards on that section of your river to “Recreation.” This involves submitting evidence/documentation of such use as well as other information requested by the state in order for consideration. Georgia River Network would like to advocate that all water trails in the state receive recreation designation. In 2017, the state passed a resolution in support for water trails. Georgia River Network supports and networks the water trails throughout the state in our Georgia Water Trails Network. A water trail is a segment of river that has a put in and take out and meet many other criteria to help the public access and paddle the river safely. Georgia has 18 designated trails (that meet Georgia River Networks criteria) and 18 under development. Many of these trails that are already being paddled are designated as “Fishing.” GRN has a map that matches the Designated Use with the water trails to make it easy for you to find out the designation. While this is a 3 year process, getting involved earlier rather than later gives you more of an opportunity to help your river through the process. The state examines a variety of information such as whether recreation is occurring year round, water intakes and discharges, boat ramps, money invested in trails, support from communities etc. They also seek input from stakeholders affected by changes. We are reaching out to water trails, groups and interested citizens to take part in this process. 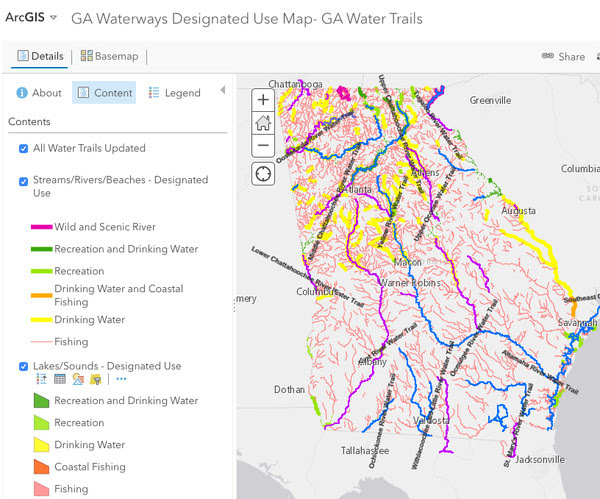 Look up your river or water trail on Georgia River Network’s map that overlays water trails and designated uses and see if it has “Recreation” designation. If it does not, and should, time to get to work. You can also view information on each water trail in our EPD Designated Uses on GA Water Trails Spreadsheet that lists each section and its designation. Collect information providing evidence of recreational use as well as other documentation requested and write a comment letter. Add this information into the appropriate Water Trail Folder. 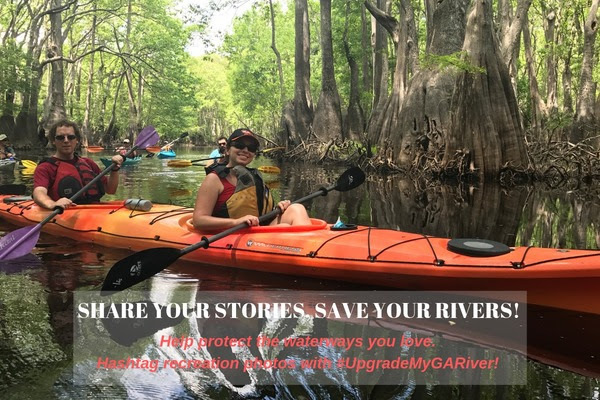 Riverkeepers have created a toolkit with graphics that you can use to help collect stories and data on your river segment, and a sample letter is available upon request. Provide Support for Georgia River Network’s EPD Comment letter on behalf of all water trails by completing this SUPER QUICK and EASY WATER TRAILS RECREATION SURVEY. We ask that all water trail representatives participate so they are represented. Communicate with Georgia River Network on your effort so that we can assist you with your comment letter and make sure that your information is also in the hands of Riverkeeper groups in your basin. A public hearing was held to give the public an opportunity to comment on and provide items to be considered in this year’s Triennial Review and to serve as an official marker of the beginning of the 2019 Triennial Review process. Written comments may be emailed to EPD. Comments@dnr.state.ga.us or sent via regular mail addressed to: Elizabeth Booth, Manager, Watershed Planning and Monitoring Program, 2 Martin Luther King, Jr. Drive, Suite 1152, Atlanta, Georgia 30334. If you choose to e-mail your comments, please include the words “Water Quality Standards 2019 Triennial Review” in the subject line to help ensure that your comments will be forwarded to the correct staff. 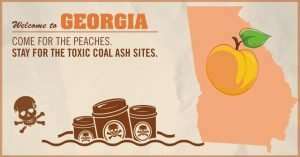 Coal ash is the waste left over from burning coal. It contains toxic metals and cancer-causing chemicals. Learn more about how to help keep toxic coal ash from polluting our water.